Possible side effects of Fosamax may include mild symptoms such as nausea, flatulence, and diarrhea, which are not a concern unless they worsen or do not go away. Serious side effects like dead jaw and localized pain in the jaw are less common but can also occur. Information about these side effects is provided below. These side effects are typically not serious, but if they continue to worsen or do not subside, patients may want to seek medical treatment and the advice of physician. When taking Fosamax or alendronate, it is important to note that certain foods may cause side effects or interactions. For example, products that contain calcium, aluminum, and magnesium are likely to interfere with the gastrointestinal absorption of oral bisphosphonates. Food, coffee, and orange juice can significantly reduce the absorption of Fosamax, and although they may not cause specific symptoms, it will reduce the effectiveness of the medication, and the symptoms of the initial condition will remain. Fosamax or alendronate has successfully treated and prevented osteoporosis and other bone diseases in both men and women. 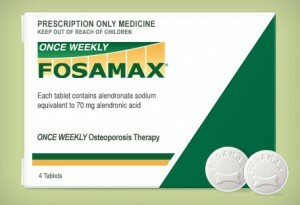 Despite its benefits, some Fosamax side effects have also been experienced. It is important for patients to discuss any other conditions they may have or medications they are taking in order to reduce the chances of experiencing these side effects.